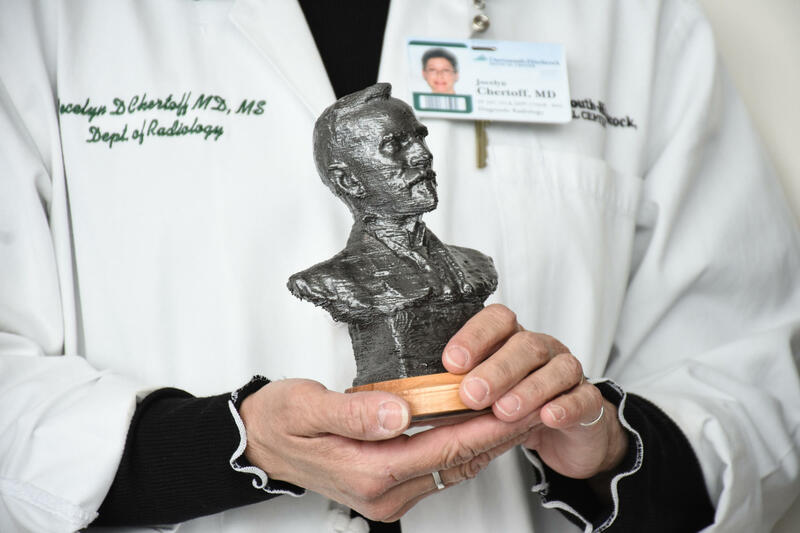 Jocelyn Chertoff, chair of the radiology department at Dartmouth-Hitchcock Medical Center, holds a 3-D printed sculpture created by scanning a century-old plaster mold from the collections of Saint-Gaudens National Historic Site in Cornish. There are the mysteries you know about, and then there are the ones lurking in your midst. For the staff at Saint-Gaudens National Historic Site in Cornish, it was a bit of both. The site, run by the National Park Service, is the estate of Gilded Age sculptor Augustus Saint-Gaudens. Saint-Gaudens is behind many iconic monuments still standing today, most famously of Civil War heroes in Chicago and Boston. Listen to the broadcast version of this story by Britta Greene. Sculptural molds and other artifacts in a storage room at Saint-Gaudens National Historic Site in Cornish. 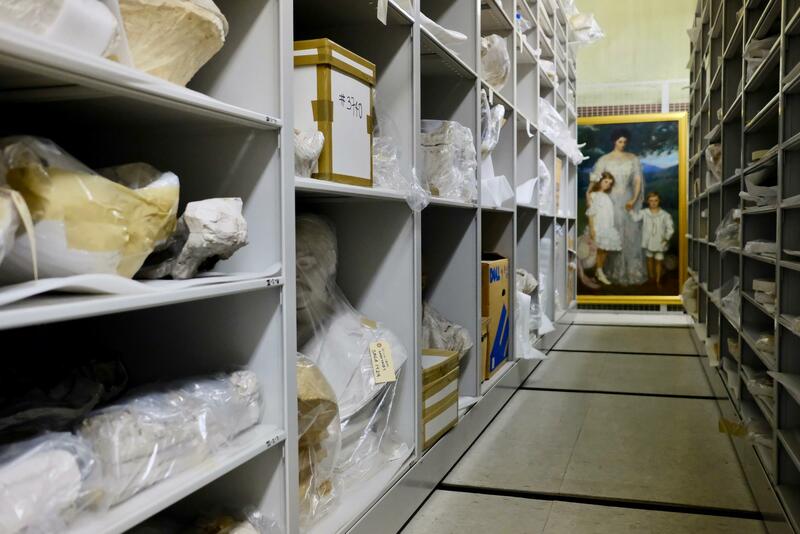 Like at most museums, visitors to the historic site see only part of the collection. There’s shelves and shelves of storage in backrooms. Here, one of the things occupying those shelves is sculptural molds, made of white plaster and wrapped in plastic for protection. The molds were used by Saint-Gaudens to cast sections of his sculptures -- he’d pour bronze inside. But after he used them, he often sealed them shut for storage. Many have remained that way ever since. You can guess at what shapes they may have cast by their external geometry, but, as curator Henry Duffy points out, it’d be just that – a guess. Curator Henry Duffy holds one of Saint-Gaudens' plaster molds. 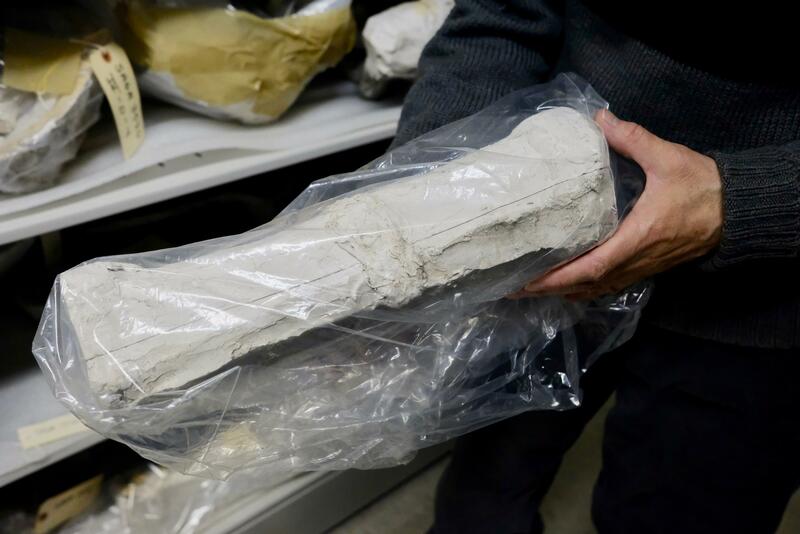 The objects had been sitting around, little mysteries, for a century, when last year the park superintendent had a thought: What if you could somehow see inside without damaging them? What if you could scan them, x-ray them like a human body? The first step was to see if it would even work, and they had no idea -- these machines are built for human bodies, after all. But Duffy and his team loaded some molds into the car and drove the half hour up to the hospital one morning. They went early, before 8 a.m., to try to get in on the CT scanner before the rush began with patients. They got the first mold situated, and watched a monitor as the picture started coming in. “Immediately we could see it was a person, but it was clearly something we had never seen,” Duffy said. 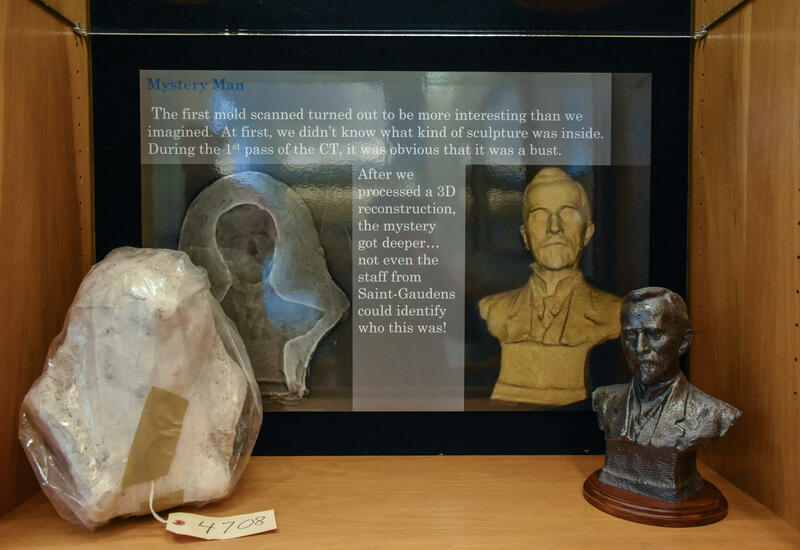 The mysterious bust of a man unknown to Saint-Gaudens experts is one of several sculptures now on display at the hospital. In fact, it was a small bust, the head of middle-aged man in a suit. You could feel the excitement in the room. “There were some whoops and hollers I think when we first started to see this thing showing up,” Duffy said. They ended up scanning a total of 16 molds. That first one, remarkably, remains a true mystery to this day. They have no idea who it’s a sculpture of, or if any physical version of the bust exists. And that could have been the end of the story if it weren’t for a man named Jeff Volckaert. He works in IT at the hospital with the radiology department. He got looped into the project because of a hobby he has at home, 3-D printing. He wanted to take the digital images they were getting from the scans, and use them to print new versions of the sculptures. It took a lot of tinkering to get the digital files in good enough shape, Volckaert said, and hours and hours to do the actual 3-D printing itself. The longest print took a total of 35 hours, he said. 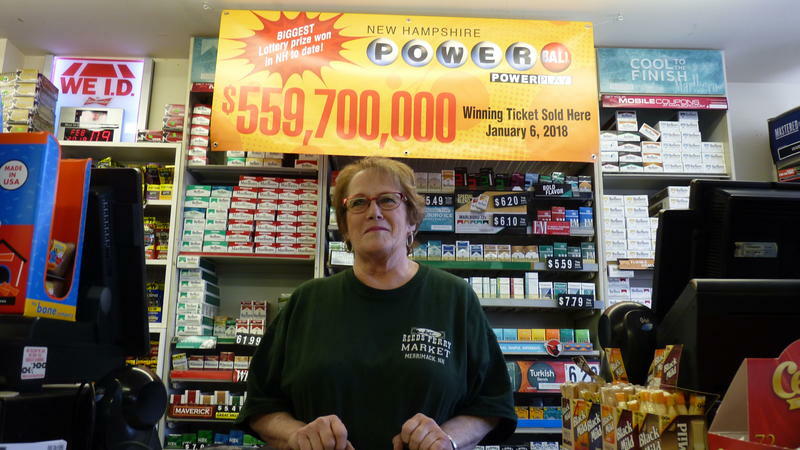 He started it at 4 a.m. on a Saturday and it finished Sunday afternoon – “just in time for the Patriots game if I remember right,” he said. His 3-D printed recreations are now on display in the main lobby of the hospital. The team is submitting their results to conferences both in the medical and museum fields. 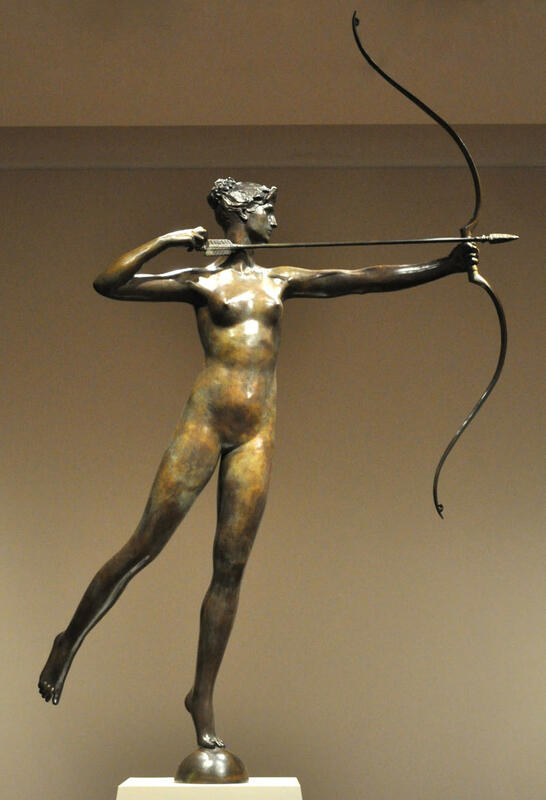 The Currier Museum of Art in Manchester is presenting the work of American sculptor Augustus Saint-Gaudens in an exhibit that runs through May 20th. Saint-Gaudens was the most important American sculptor of the late 19th and early 20th century, and this is the first major museum exhibit of his work in New England in more than 30 years. Black Theater in N.H.'s (Very White) Upper Valley? Why Not? 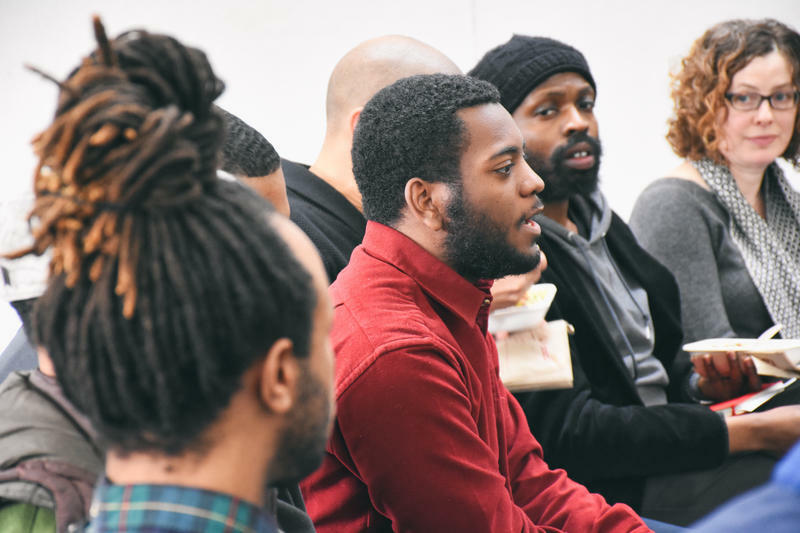 New works in progress by black playwrights will be performed this weekend in the Upper Valley. The festival is sponsored by JAG productions, a relatively new black theater company that’s been drawing audiences across western New Hampshire and eastern Vermont. 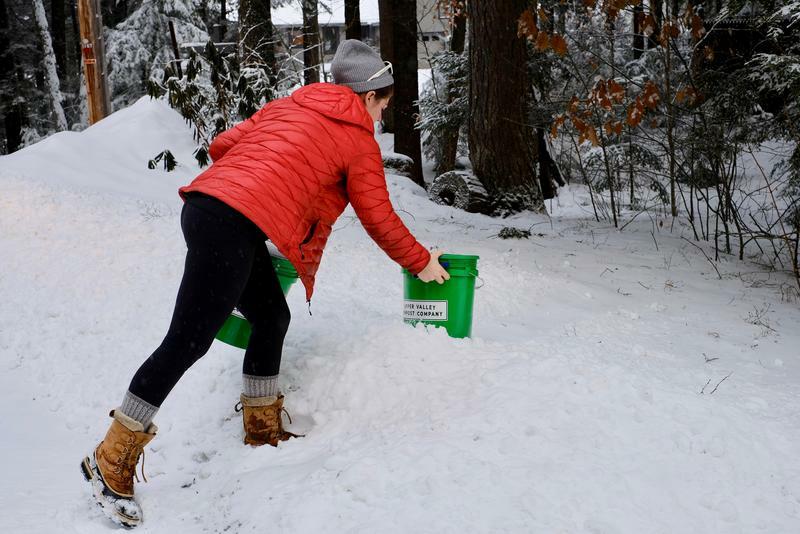 Jessica Saturley-Hall knew she wanted to start her own business, and she got hooked on the concept of compost. She knew that food scraps produce significantly more methane, a greenhouse gas, when tossed in a landfill, rather than breaking down on their own. So she wondered, what if you could reward people for separating their food waste from their trash. At first, she thought about somehow paying people for their compost. She did a host of financial models, looked at it every which way, but couldn’t come up with a solution. 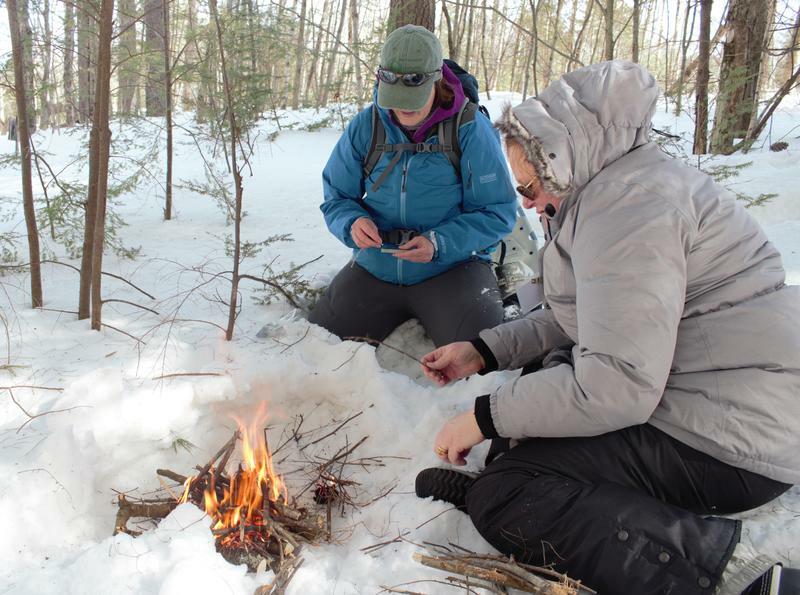 Women are one of the fastest-growing demographics for outdoor recreation in New Hampshire. The state Department of Fish & Game has encouraged that for more than 20 years with its “Becoming an Outdoors-Woman” program, or BOW. It helps the department make money and cut down on preventable rescues. NHPR’s Annie Ropeik attended the winter BOW last weekend in Holderness, and found out it’s also about women helping women learn to fend for themselves.